Information about sorghum and how to cook with it. 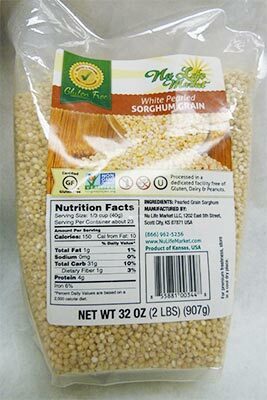 Whole grain sorghum – Use sorghum in its whole grain form for great tasting and healthful dishes just like you would use rice. Whole grain sorghum can be used as an addition to vegetable salads or in cooked dishes like tabbouleh. It resembles bulgar or wheat berries and is a hearty, chewy solution to meeting the daily goal of 2 to 3 servings of whole grain. White sorghum flour – White sorghum flour is made from white food grade sorghum that has the hull removed and milled like traditional flours. This flour can be used in a variety of baking applications in conjunction with other flours. 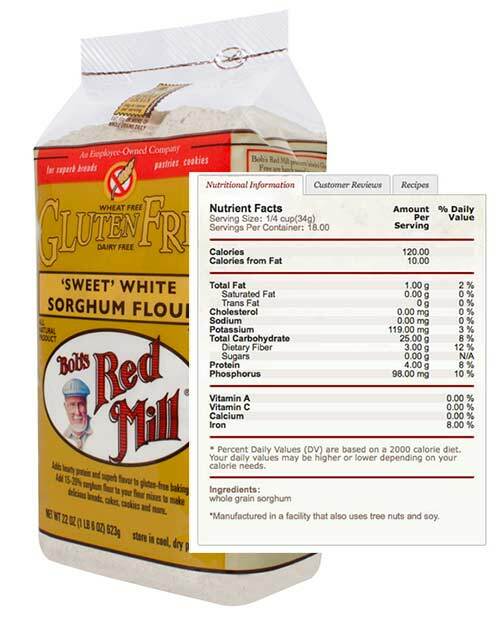 Whole grain sorghum flour – Whole grain flour is milled with the entire grain without the hull removed. 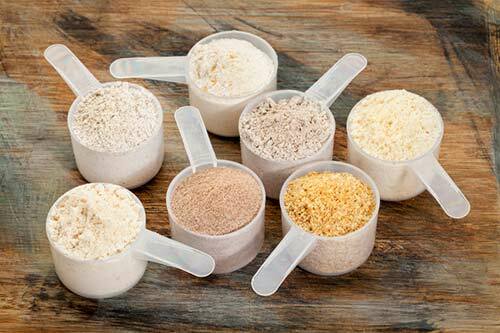 Whole grain flours contain all of the nutrition found in the outer casing of the grain. 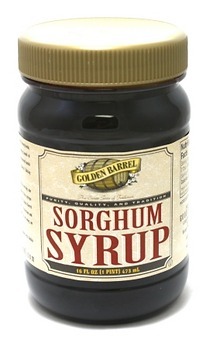 Sorghum syrup – Sorghum syrup is a natural sweetener that comes from juice squeezed from the stalks of certain sorghum varieties. It has a rich, dark color and consistency similar to molasses but with a milder taste. 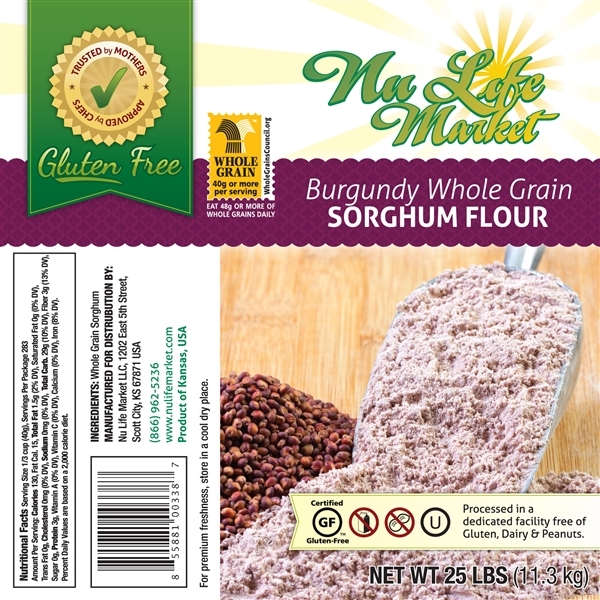 Whole grain sorghum flour is a wholesome, hearty grain that possesses a mild flavor that won’t compete with the delicate flavors in other food ingredients. Sorghum improves the texture of recipes and digests more slowly with a lower glycemic index, so it sticks with you a bit longer than other flour or flour substitutes. This makes it a great healthy substitution for more traditional flours. Check out these great recipes for sorghum flour mixes. 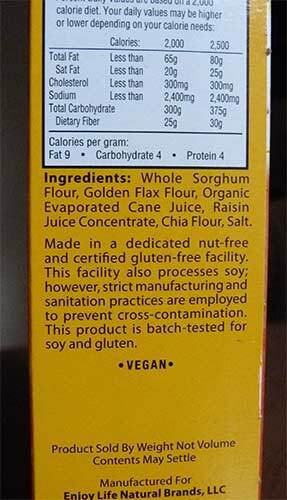 Because sorghum does not contain gluten, a “binder” such as xanthan gum, must be added when gluten is used to create a successful product. Add 1/2 teaspoon xanthan gum per cup of sorghum flour for cookies and cakes or 1 teaspoon per cup of flour for breads. Other ingredients used as binders in some recipes include egg whites, unflavored gelatin, cornstarch and guar gum. For baking – if you are ready to try some recipes, start with recipes that use relatively small amounts of wheat flour like brownies or pancakes. Substituting sorghum takes some experimenting and patience, but the results can be very delicious. For snacking – purchase whole grain sorghum that you can pop as a nutritious, whole grain snack. A little oil in a heavy pan along with whole grain sorghum makes a healthy popped snack. For entrees – sorghum can also be used as a grain (like rice or barley) and boiled or toasted as a crunchy addition to a tossed salad. Store sorghum flour in moisture- and vapor-proof, air-tight glass or metal containers or plastic freezer bags. Keep in a cool, dry, dark place if it will be used within a few months; keep in a refrigerator or freezer for longer storage. All information provided courtesy of the Nebraska Grain Sorghum Board. I just found out cats have NINE LIVES. 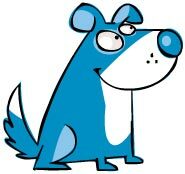 I’m not jealous, though, because cats have nine CRUMMY lives; DOGS have one BIG life full of AWESOMENESS! 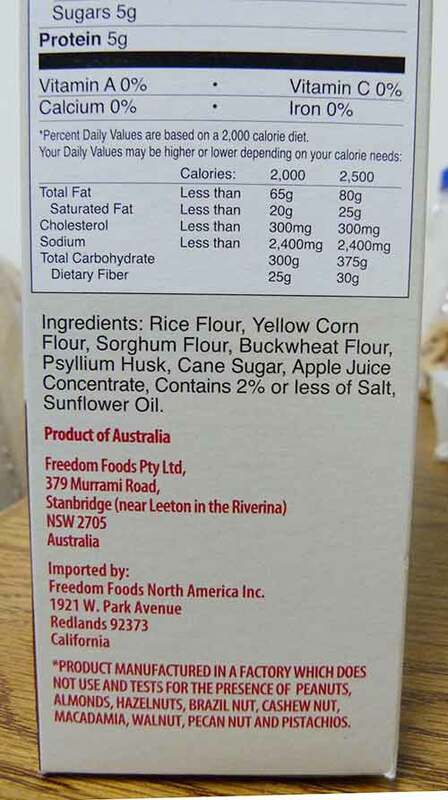 Sorghum has been in the United States for a long time. The grain types commonly called “guinea corn” and “chicken corn” were introduced from West Africa at least two centuries ago. Both were probably packed as provisions on slave ships and reached the New World only inadvertently. Americans first grew these grains along the Atlantic coast but later took the crop westward where it found a better home in the drier regions. Later-arriving grain types include some that were deliberately introduced by seedsmen and scientists towards the end of the 1800s. By 1900, sorghum grain was well established in the southern Great Plains and in California; indeed, it had become an important resource in areas too hot and dry for maize. The sorghum known as “broomcorn” was supposedly first cultivated in the United States by Benjamin Franklin. He is said to have started the industry in 1797 with seeds he picked off an imported broom. The stiff bristles that rise from the plant’s flower head have produced many of America’s brooms and brushes ever since. By the 1930s, for example, American farmers were cultivating 160,000 hectares (over 395,000 acres) of broomcorn. The so-called “sweet” sorghum, with its sugar-filled stems, reached these shores in about the mid-1800s. It landed first in the Southern states—supposedly introduced as a cheap treat for slaves. Within 50 years, however, it had spread so widely and become so popular that sorghum was known as ”the sugar of the South.” Each locality in the Southern farm belt had a mill to crush sorghum stalks. 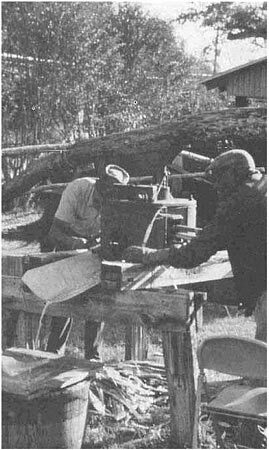 The resulting syrup, a little thinner than molasses, became the sweetener of the region: poured over pancakes, added to cakes, and everywhere employed in candies and preserves. Today, this golden liquid is not so well known, but many rural communities still hold annual sorghum festivals and crude old mills squeeze out an estimated 120 million liters of syrup each year. This scene is in the back hills of North Carolina. Sugar sorghum has all but disappeared from commercial cultivation in the United States, but it is still grown on a small scale, mostly for home use. The thin greenish liquid squeezed out of the stalks is boiled down into sorghum molasses, thinner in consistency than sugarcane molasses, but lighter in color —an almost transparent golden shade. Sudangrass was introduced in 1909. This form of “grass sorghum” is now used for animal feed throughout the nation’s warmer regions. Source: National Research Council. Lost Crops of Africa: Volume I: Grains. Washington, DC: The National Academies Press, 1996. Today I’m sharing some more information about sorghum from the book Lost Crops of Africa: Volume I: Grains. Like other cereal grains, sorghum is composed of three main parts: seed coat (pericarp), germ (embryo), and endosperm (storage tissue). The relative proportions vary, but most sorghum kernels are made up of 6 percent seed coat, 10 percent germ, and 84 percent endosperm. In its chemical composition, the kernel (in its whole-grain form) is about 70 percent carbohydrate, 12 percent protein, 3 percent fat, 2 percent fiber, and 1.5 percent ash. In other words, it hardly differs from whole-grain maize or wheat. When the seed coat and germ are separated to leave a stable flour (from the starchy endosperm), the chemical composition is about 83 percent carbohydrate, 12 percent protein, 0.6 percent fat, 1 percent fiber, and 0.4 percent ash. In the United States, sorghum is grown primarily on dryland acres, with the Sorghum Belt stretching from South Dakota to Southern Texas. Sorghum is among the most efficient crops in conversion of solar energy and use of water. Approximately 7.7 million acres of sorghum were planted in 2007 in 21 states throughout the United States, making the United States the largest producer of sorghum. Maizy came back! I was SO excited I squeaked and wagged and wiggled and jumped! I just couldn’t help it because I didn’t think she would EVER come home. Now I’m going to sit in her lap forever so she can’t ever leave again! HAPPY! JOY! Sorghum is an ancient grain with a colorful history. Today I’d like to share some interesting information about the sorghum eaten in India, known as jowar. The information below comes from a publication by the National Research Council called Lost Crops of Africa: Volume I: Grains. For perhaps 20 centuries, sorghum has been a staple of South Asia. Today, for example, it occupies at least 20 million hectares in India, more area than any other food crop except rice. In monetary terms “jowar,” as it is locally called, is perhaps India’s third most valuable food plant, exceeded only by rice and wheat. Outsiders have often dubbed this African grain “the great millet of India.” And no wonder. Jowar is an important food over much of the country, and especially in the dry areas of the central and southern states. Millions of Indians eat it. Some use it like rice, but most jowar is milled into flour. More or less white in color, this flour is used especially for making traditional unleavened breads (chapatis). Usually the whole-grain flour is employed, but some jowar is also polished to remove the germ and create a flour with a long shelf life. You can find the recipe for chapati and an instructional video here. Jowar grain is also malted (germinated), and in this form it finds its way into various processed products, including beer and baby foods. The grains of certain varieties pop like popcorn when heated. Indians eat the light and tasty product directly or as a flavoring in baked goods. And sorghum feeds more than just India’s people: its stalks are a major source of fodder. According to some reports, nothing can match its combination of high yield and nutritional quality. Varieties with juicy, sweet stalks have been developed. Cattle find those particularly delicious. Perhaps 80 percent of India’s cultivated sorghums are those (known as “durras”) that are the dominant type in Ethiopia, North Africa, and along the Sahara’s southern fringes. Many improved strains have been developed. They are grown mainly in the plains and rely on the summer rains, although some are grown under irrigation. Jowar is notably important on the black-cotton soils, which are notoriously difficult to farm. It is one of the few crops that withstands the wildly fluctuating water tables that produce bottomless mud in the wet season and something resembling cracked concrete in the dry. An ability to extract moisture from deep in the heavy vertisol clay is among the crop’s greatest qualities for India. National Research Council. Lost Crops of Africa: Volume I: Grains. Washington, DC: The National Academies Press, 1996. Here are some Indian recipes using jowar that you might like. I think I might be trying some of these in the future for fun. 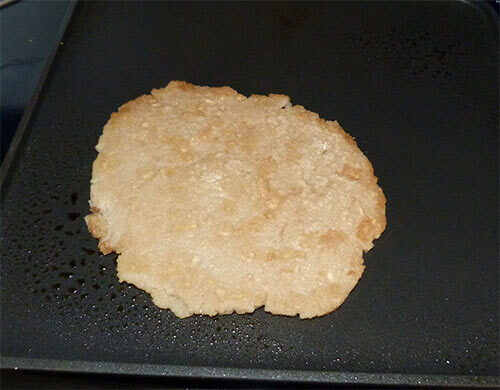 Here is a chapati I made from sorghum flour. Snoopy quote: “People go through periods in their lives. I’d rather go through EXCLAMATION POINTS!” Snoopy is my hero. The sorghum plant is related to is related to sugar cane and Johnson grass. Sorghum is the fifth most important cereal crop grown in the world. Broomcorn is a variety of sorghum introduced to the U.S. in 1757 by Ben Franklin for – you guessed it – making brooms. Some starches used for adhesives and paper making are derived from sorghum. In Africa, leather is sometimes dyed red with the help of red varieties of sorghum. One-third of U.S. sorghum production is used for ethanol. Because sorghum can usually be grown with much less fertilizer and irrigation than corn, the net fuel produced is far greater than corn ethanol. You can pop sorghum. It’s just like popcorn, only slightly smaller. The earliest known record of sorghum comes from an archeological dig at Nabta Playa, near the Egyptian-Sudanese border and had been dated at 8,000 B.C. The pet food industry uses sorghum because of its low glycemic index, which helps it to control diabetes in companion animals. Around the world, sorghum is used for building materials like fencing, a plywood-like product and as a binder in wallboard. The United States is the largest producer of sorghum. Here’s a nice little video about sorghum I found at Sorghum Checkoff. They talk about some of the other uses for sorghum besides gluten-free foods and there are lots of nice shots of pretty sorghum in the field! 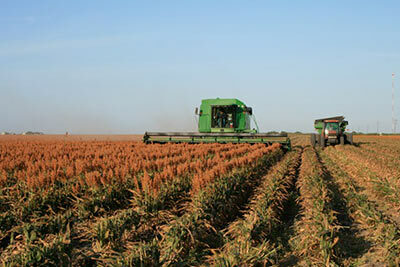 Photos sorghum in field and sorghum harvest from Sorghum Checkoff. I took my rawhide bone outside and hid it under some leaves. No one will find it there, not even those nasty CATS! I better go check to see if it’s ok. I LOVE my rawhide bone almost as much as cookies! Although I’m focusing on using sorghum flour in this blog, there are other flours that are gluten-free. These are often combined to create interesting flavors and textures in gluten-free baked foods. An assortment of gluten free flours. Almond meal flour is made from whole almonds that have been finely ground into a powder. It is used in cookies, cakes and other desserts. Be sure to store almond meal flour in the freezer. Amaranth has a very high protein and fiber content and adds a nutty flavor to gluten-free baked goods. It is most commonly used in combination with other flours to make breads, pasta, pancakes and other recipes. 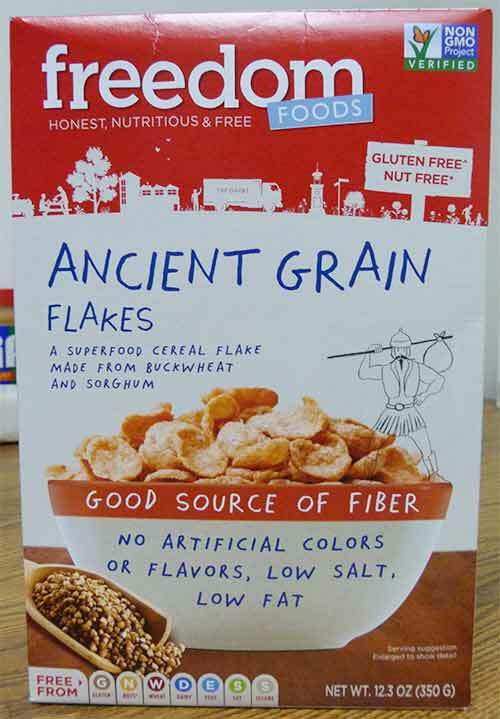 Although buckwheat is a grain-like ingredient, it has no relation to wheat and is, in fact, gluten-free. Buckwheat is used throughout Europe to make pancakes and serves as a fantastic alternative for gluten-free cooking, especially when used to make breakfast cereal and lower calorie gluten-free breads. Coconut flour is a delicious and healthy alternative flour that has a high fiber content. 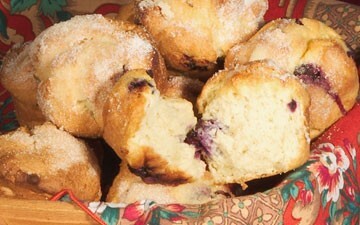 It provides a natural sweetness and added moisture to baked goods. Compared to cornmeal, corn flour has a blander taste, as well as a lighter and finer texture when used in baked goods. Cornstarch is made by grinding up the starchy portion of a corn grain and turning it into a very fine powder. Cornstarch is typically used as a thickening agent, such as for soups, sauces and stews. It is also used in pre-made gluten-free flour blends because it creates a smoother texture. Garbanzo bean flour, aka chickpea flour, is like all bean flours in that it is high in protein and fiber content. As opposed to rice, tapioca, and potato flours, bean flours more closely mimic the texture of white flour when used in baked products. Guar gum is made from guar beans and has eight times the thickening ability of corn starch. It works well for thickening sauces and is often used to make gluten-free breads. Potato flour is made by grinding potato roots and subsequently removing the fibrous material. Potato flour is most commonly used to thicken sauces and is generally included in gluten-free flour blends because it adds moisture to baked goods. Quinoa is one of the more nutritionally packed gluten-free substitutes. 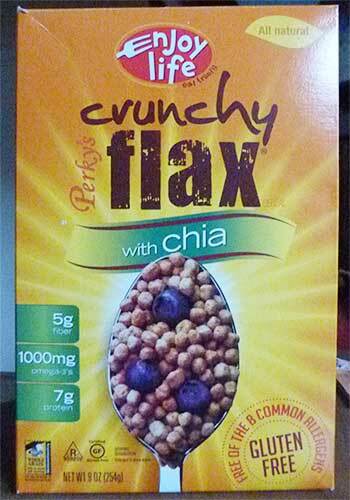 It is loaded with protein and a host of other vitamins and minerals. Quinoa is known for its mild nutty flavor. It can add both texture and moisture in baking. Sorghum flour is a millet-like grain and adds a strong flavor to gluten-free baked goods. Add in about 1/8 cup to enhance the flavors of breads, cookies and cakes. Or use it for your main flour like I do! Tapioca flour can add chewiness to baked goods, and is a wonderful thickening agent. Tapioca flour is known for being one of the more flavorless gluten-free flours, so it won’t affect the taste of your dish. White rice flour is made from finely ground white rice and is most often used as a replacement for wheat flour in gluten-free breads. 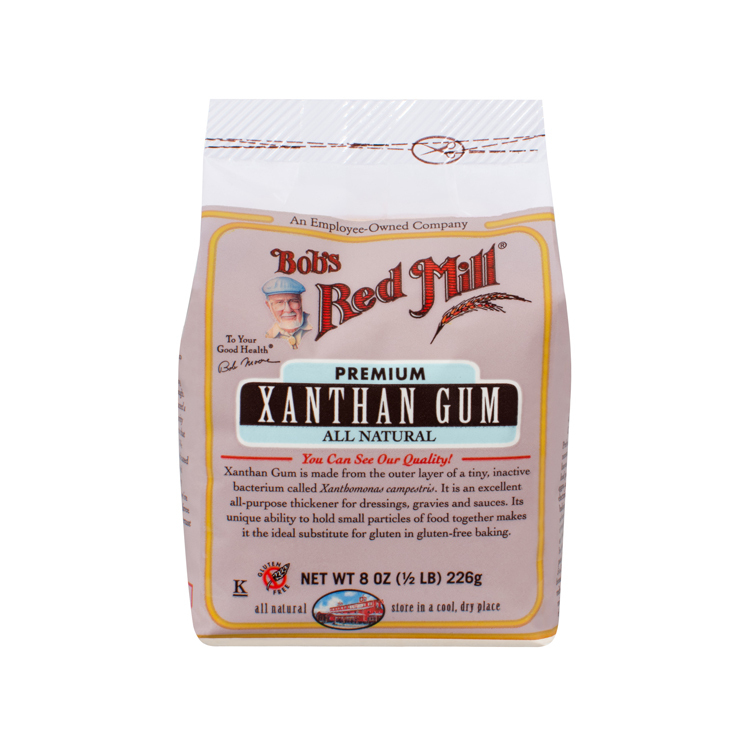 Xanthan gum is used to add volume or fluffiness to gluten-free bread and other baked goods. It is made from xanthomonas and is a natural carbohydrate. From National Foundation for Celiac Awareness.